I think we’ve all seen it. We’re driving along in our car, minding our own business, when some fool on a bicycle or some moron jogger–in a state of blissful ignorance–darts out in front of us, lunges across the street, or both. 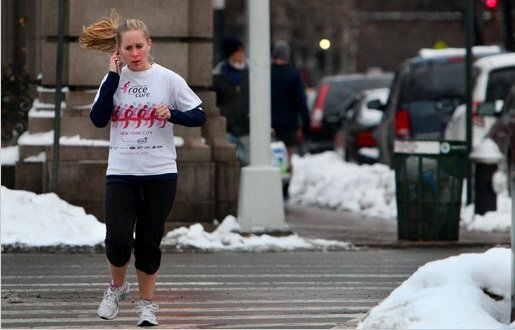 Distracted pedestrians is a growing problem, and laws are springing up around the nation to force joggers to pay attention to their surroundings, rather than their tunes. Under Kruger’s proposed law, violators would face a $100 fine and a civil summons. While his initial law, first introduced in 2007 banned the use of electronic devices while crossing streets in cities of 1 million or more, he’s in favor of expanding the prohibition. There is similar legislation proposed in various other places across the nation to restrict the use of wired, interactive, or distracting devices while running, walking, jogging, or bicycling.